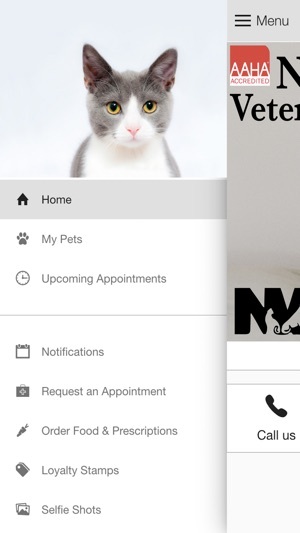 This app is designed to provide extended care for the for the patients and clients of Newburgh Veterinary Hospital in Newburgh, New York. If you live in Newburgh or the surrounding area in NY, you have picked the perfect site to find a veterinarian. The staff at Newburgh Veterinary Hospital, treats all types of companion animal, including dogs, cats, birds, pocket pets and reptiles. Your pet’s health and well being is very important to Newburgh Veterinary Hospital and we will take every step to give your beloved family member the very best care. 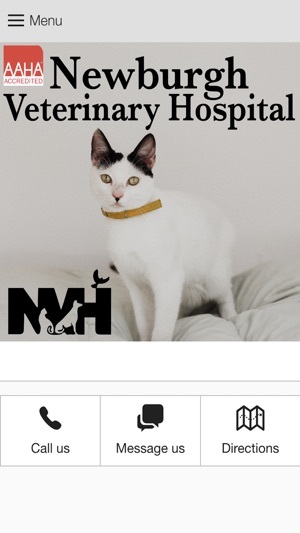 Newburgh Veterinary Hospital is a respected AAHA accredited animal hospital in Newburgh NY. Everything you encounter – from the careful design of our hospital to the selection of our staff – is done to ensure the comfort and well being of your pets (our patients) and for you. Keeping your pet healthy and happy is our goal. From routine preventive care to advanced diagnostics and pet surgery, the Newburgh Veterinary Hospital sets a high standard to provide courteous, compassionate and professional care for you and your pets.